Air Vice-Marshal Joseph Eric Hewitt, CBE (13 April 1901 – 1 November 1985) was a senior commander in the Royal Australian Air Force (RAAF). A Royal Australian Navy officer who transferred permanently to the Air Force in 1928, he commanded No. 101 (Fleet Cooperation) Flight in the early 1930s, and No. 104 (Bomber) Squadron RAF on exchange in Britain shortly before World War II. Hewitt was appointed the RAAF's Assistant Chief of the Air Staff in 1941. The following year he was posted to Allied Air Forces Headquarters, South West Pacific Area, as Director of Intelligence. In 1943, he took command of No. 9 Operational Group, the RAAF's main mobile strike force, but was controversially sacked by the Chief of the Air Staff, Air Vice Marshal George Jones, less than a year later over alleged morale and disciplinary issues. Air vice-marshal is the third highest active rank of the Royal Australian Air Force and was created as a direct equivalent of the British Royal Air Force rank of air vice-marshal. It is also considered a two-star rank. The Australian Air Corps adopted the RAF rank system on 9 November 1920 and this usage was continued by its successor, the Royal Australian Air Force. 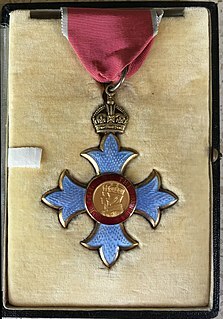 The Most Excellent Order of the British Empire is a British order of chivalry, rewarding contributions to the arts and sciences, work with charitable and welfare organisations, and public service outside the civil service. It was established on 4 June 1917 by King George V and comprises five classes across both civil and military divisions, the most senior two of which make the recipient either a knight if male or dame if female. There is also the related British Empire Medal, whose recipients are affiliated with, but not members of, the order. The Royal Australian Air Force (RAAF), formed March 1921, is the aerial warfare branch of the Australian Defence Force (ADF). It operates the majority of the ADF's fixed wing aircraft, although both the Australian Army and Royal Australian Navy also operate aircraft in various roles. It directly continues the traditions of the Australian Flying Corps (AFC), formed on 22 October 1912. The RAAF provides support across a spectrum of operations such as air superiority, precision strikes, intelligence, surveillance and reconnaissance, air mobility, space surveillance, and humanitarian support. Described as a "small, dapper man",  who was "outspoken, even 'cocky'",  Hewitt overcame the setback to his career during the war and made his most significant contributions afterwards, as Air Member for Personnel from 1945 to 1948. Directly responsible for the demobilisation of thousands of wartime staff and the consolidation of what was then the world's fourth largest air force into a much smaller peacetime service, he also helped modernise education and training within the RAAF. Hewitt was appointed a Commander of the Order of the British Empire in 1951, the same year he became Air Member for Supply and Equipment. Retiring from the military in 1956, he went into business and later managed his own publishing house. He wrote two books including Adversity in Success, a first-hand account of the South West Pacific air war, before his death in 1985 aged 84. Tylden is a small country town in central Victoria, Australia in the Shire of Macedon Ranges local government area, 83 kilometres (52 mi) north-west of the state capital, Melbourne. At the 2016 census, Tylden has a population of 535. Scotch College is an independent Presbyterian day and boarding school for boys, located in Hawthorn, an inner-eastern suburb of Melbourne, Victoria, Australia. Jervis Bay is a 102-square-kilometre (39 sq mi) oceanic bay and village on the south coast of New South Wales, Australia, said to possess the whitest sand in the world. No. 101 Flight RAAF was a Royal Australian Air Force fleet co-operation flight equipped with amphibian aircraft. The flight was formed on 1 July 1925, and operated from the Royal Australian Navy seaplane tender HMAS Albatross between 1929 and 1933. After Albatross paid off the flight's aircraft operated from the RAN's heavy cruisers HMAS Australia and HMAS Canberra. No. 101 Flight was expanded to form No. 5 Squadron on 20 April 1936. The Supermarine Seagull was a British amphibian biplane flying boat developed from the Supermarine Seal by the Supermarine company. The Seagull was constructed of wood. The lower wing was set in the shoulder position and had two bays. The engine was mounted in a nacelle slung from the upper wing and powered a four-blade propeller in tractor configuration. The fuselage had an oval cross-section and had a planing bottom with two steps. An amphibious aircraft or amphibian is an aircraft that can take off and land on both land and water. Fixed-wing amphibious aircraft are seaplanes that are equipped with retractable wheels, at the expense of extra weight and complexity, plus diminished range and fuel economy compared to planes designed for land or water only. Some amphibians are fitted with reinforced keels which act as skis, allowing them to land on snow or ice with their wheels up. Squadron leader is a commissioned rank in the Royal Air Force and the air forces of many countries which have historical British influence. It is also sometimes used as the English translation of an equivalent rank in countries which have a non-English air force-specific rank structure. HMAS Australia (I84/D84/C01) was a County-class heavy cruiser of the Royal Australian Navy (RAN). One of two Kent-subclass ships ordered for the RAN in 1924, Australia was laid down in Scotland in 1925, and entered service in 1928. Apart from an exchange deployment to the Mediterranean from 1934 to 1936, during which she became involved in the planned British response to the Abyssinia Crisis, Australia operated in local and South-West Pacific waters until World War II began. The RAF Staff College at RAF Andover was the first Royal Air Force staff college to be established. Its role was the training of officers in the administrative, staff and policy apects of air force matters. RAAF Base Richmond is a Royal Australian Air Force (RAAF) military air base located within the City of Hawkesbury, approximately 50 kilometres (31 mi) north-west of the Sydney central business district in New South Wales, Australia. Situated between the towns of Windsor and Richmond, the base is the oldest base in New South Wales and the second oldest in Australia. The base is home to the transport headquarters RAAF Air Lift Group, and its major operational formations, Nos. 84 and 86 Wings. The main aircraft type operated at the base is the Lockheed C-130 Hercules. Richmond is a regular venue for air shows and has at times been mooted as a site for Sydney's proposed second international airport. No. 10 Squadron is a Royal Australian Air Force (RAAF) maritime patrol squadron based at RAAF Base Edinburgh, South Australia, as part of No. 92 Wing. The squadron was formed in 1939 and saw active service during the Second World War, conducting anti-submarine operations and patrols from bases in the United Kingdom until it disbanded in late 1945. It was re-formed in Australia in 1949 and since then has contributed to Australia's East Timor intervention, and has been deployed to the Middle East as part of the War on Terrorism and the 2003 Gulf War. RAAF Base Rathmines is a heritage-listed former RAAF WWII seaplane base and now used as community venues, sports venues and a visitor attraction at Dorrington Road, Rathmines, City of Lake Macquarie, New South Wales, Australia. It was in use as an RAAF base from 1939 to 1961. It is also known as Rathmines Park, former RAAF Seaplane Base, Flying Boat Base, Rathmines Aerodrome and Catalina Base. The property is owned by Australian Christadelphian Bible School, Disability Life Enrichment, Don Geddes Nursing Home and Lake Macquarie City Council. The remains of the former air base was added to the New South Wales State Heritage Register on 25 November 2005. 1 2 3 4 5 6 7 8 9 10 11 12 13 Funnell, Ray. "Hewitt, Joseph Eric (1901–1985)". Australian Dictionary of Biography . National Centre of Biography, Australian National University . Retrieved 8 April 2019. ↑ "No. 33048". The London Gazette . 19 May 1925. p. 3382. ↑ "No. 33087". The London Gazette . 25 September 1925. p. 6206. ↑ "No. 34893". The London Gazette (Supplement). 9 July 1940. p. 4254. 1 2 Alexander, "Cleaning the Augean stables"
↑ "No. 39105". The London Gazette (Supplement). 29 December 1950. p. 36. ↑ "Air weapons contest at Canberra". The Canberra Times . Canberra. 4 December 1953. p. 2. Retrieved 2 January 2016. ↑ "RAAF holds trophy shoot". The Age . Melbourne. 28 November 1960. p. 5. Retrieved 7 January 2016. Air Chief Marshal Sir Frederick Rudolph William Scherger, was a senior commander in the Royal Australian Air Force (RAAF). He served as Chief of the Air Staff, the RAAF's highest-ranking position, from 1957 until 1961, and as Chairman of the Chiefs of Staff Committee, forerunner of the role of Australia's Chief of the Defence Force, from 1961 until 1966. He was the first RAAF officer to hold the rank of air chief marshal. Air Marshal Sir George Jones, was a senior commander in the Royal Australian Air Force (RAAF). He rose from private soldier in World War I to air marshal in 1948, and served as Chief of the Air Staff from 1942 to 1952, the longest continuous tenure of any RAAF chief. Jones was a surprise appointee to the Air Force's top role, and his achievements in the position were coloured by a divisive relationship during World War II with his nominal subordinate, the head of RAAF Command, Air Vice-Marshal William Bostock. Air Vice Marshal William Dowling Bostock, was a senior commander in the Royal Australian Air Force (RAAF). During World War II he led RAAF Command, the Air Force's main operational formation, with responsibility for the defence of Australia and air offensives against Japanese targets in the South West Pacific Area. His achievements in the role earned him the Distinguished Service Order and the American Medal of Freedom. General Douglas MacArthur described him as "one of the world's most successful airmen". No. 9 Operational Group was a major Royal Australian Air Force (RAAF) formation providing fighter, ground-attack and anti-shipping support to the Allies in the South West Pacific theatre during World War II. Established in September 1942, it acted as a mobile striking force independent of the RAAF's static area commands. As the war in the Pacific progressed, No. 9 Operational Group itself developed into an area command called Northern Command, responsible for garrisoning New Guinea. Air Vice-Marshal William Hopton (Bill) Anderson, CBE, DFC was a senior commander in the Royal Australian Air Force (RAAF). He flew with the Australian Flying Corps in World War I, earning the Distinguished Flying Cross and the Belgian Croix de guerre, and leading Nos. 3 and 7 Squadrons. Anderson commanded the Australian Air Corps during its brief existence in 1920–21, before joining the fledgling RAAF. The service's third most senior officer, he primarily held posts on the Australian Air Board in the inter-war years. He was appointed a Commander of the Order of the British Empire in 1934, and promoted to air commodore in 1938. Air Marshal Sir John Patrick Joseph McCauley, KBE, CB was a senior commander in the Royal Australian Air Force (RAAF). He served as Chief of the Air Staff from 1954 to 1957. A Duntroon graduate, McCauley spent four years in the Australian Military Forces before transferring to the RAAF in 1924. He was Director of Training from 1936 to 1938, and commanded engineering and flying training schools for the first eighteen months of World War II. Having been promoted to group captain in 1940, he was posted to Singapore in June 1941 to take charge of all RAAF units defending the area. He earned praise for his efforts in attacking invading Japanese forces before the fall of Singapore, and for his dedication in evacuating his men. After serving as Deputy Chief of the Air Staff in 1942–44, he was appointed to a senior operational role with the Royal Air Force's 2nd Tactical Air Force in Europe, where he saw out the rest of the war. Air Marshal Sir Charles Frederick Read, KBE, CB, DFC, AFC was a senior commander in the Royal Australian Air Force (RAAF). He served as Chief of the Air Staff (CAS) from 1972 to 1975. Born in Sydney, Read joined the RAAF in 1937, and began his career flying biplane fighters. As a Beaufighter pilot, he led No. 31 Squadron and No. 77 Wing in the South West Pacific during World War II. His achievements earned him the Distinguished Flying Cross and a mention in despatches, and he finished the war an acting group captain. Air Commodore Francis William Fellowes (Frank) Lukis, CBE was a senior commander in the Royal Australian Air Force (RAAF). A veteran of World War I, he first saw combat as a soldier in the Australian Imperial Force at Gallipoli. In 1917, Lukis transferred to the Australian Flying Corps and flew with No. 1 Squadron in the Middle East, where he was twice mentioned in despatches. A member of the Australian Air Corps following the war, he transferred to the fledgling RAAF in 1921, and became the first commanding officer of the newly re-formed No. 3 Squadron at RAAF Station Richmond, New South Wales, in 1925. Air Vice Marshal Henry Neilson Wrigley, CBE, DFC, AFC was a senior commander in the Royal Australian Air Force (RAAF). A pioneering flyer and aviation scholar, he piloted the first trans-Australia flight from Melbourne to Darwin in 1919, and afterwards laid the groundwork for the RAAF's air power doctrine. During World War I, Wrigley joined the Australian Flying Corps and saw combat with No. 3 Squadron on the Western Front, earning the Distinguished Flying Cross; he later commanded the unit and published a history of its wartime exploits. He was awarded the Air Force Cross for his 1919 cross-country flight. Air Vice Marshal Francis Masson (Frank) Bladin, was a senior commander in the Royal Australian Air Force (RAAF). Born in rural Victoria, he graduated from the Royal Military College, Duntroon, in 1920. Bladin transferred from the Army to the Air Force in 1923, and learned to fly at RAAF Point Cook, Victoria. He held training appointments before taking command of No. 1 Squadron in 1934. Quiet but authoritative, he was nicknamed "Dad" in tribute to the concern he displayed for the welfare of his personnel. Air Vice Marshal Ellis Charles Wackett, CB, CBE was a senior commander in the Royal Australian Air Force (RAAF). Its chief engineer from 1935 to 1959, he served on the RAAF's controlling body, the Air Board, for a record seventeen years, and has been credited with infusing operations with new standards of airworthiness. Commencing his service career as a Royal Australian Navy cadet during World War I, Wackett transferred to the Air Force in 1923 while on an engineering course in Britain. He qualified as a pilot before completing his studies and returning to Australia, where he inaugurated parachute instruction within the RAAF and made the country's first freefall descent from a military aircraft in 1926. The following year, he led a three-month survey flight to Papua New Guinea. Air Vice Marshal Allan Leslie Walters, CB, CBE, AFC was a senior commander in the Royal Australian Air Force (RAAF). Born in Victoria and raised in Western Australia, he graduated from the Royal Military College, Duntroon, before transferring to the RAAF in 1928. He was considered one of the service's leading flying instructors and aerobatic pilots between the wars, and was appointed to his first squadron command in 1937. 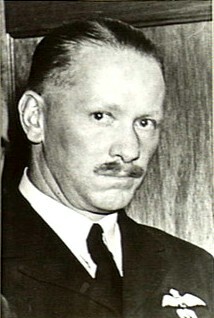 Over the course of World War II, Walters led No. 1 Squadron in Singapore, No. 1 (Fighter) Wing in Darwin, Northern Territory, No. 72 Wing in Dutch New Guinea, and Northern Command in Papua New Guinea. He was decorated with the Air Force Cross in 1941 for his work with No. 1 Squadron, and mentioned in despatches in 1944 for his service with No. 72 Wing. Air Vice Marshal Ian Dougald McLachlan, CB, CBE, DFC was a senior commander in the Royal Australian Air Force (RAAF). Born in Melbourne, he was a cadet at the Royal Military College, Duntroon, before joining the Air Force in December 1930. After serving in instructional and general flying roles, he took command of No. 3 Squadron in December 1939, leading it into action in the Middle East less than a year later. Awarded the Distinguished Flying Cross, he returned to Australia in 1942 to command air bases in Canberra and Melbourne. The following year he was posted to the South West Pacific, where he led successively Nos. 71 and 73 Wings. Having been promoted to group captain, he took charge of Southern Area Command in 1944, and No. 81 Wing in the Dutch East Indies the following year. RAAF Command was the main operational arm of the Royal Australian Air Force (RAAF) during World War II. The command was formed in September 1942 and by April 1943 comprised 27 squadrons, including units from the Netherlands, the United Kingdom and the United States, as well as Australia. Coming under the operational authority of Allied Air Forces Headquarters in the South West Pacific Area, RAAF Command exercised control of its units through geographically based area commands in Australia and, later, New Guinea, as well as large mobile formations including the Australian First Tactical Air Force. The command reached a strength of 41 squadrons in October 1944. From the time of its establishment, until its disbandment in September 1945, it was led by Air Vice Marshal Bill Bostock. Air Vice Marshal Alan Moorehouse Charlesworth, CBE, AFC was a senior commander in the Royal Australian Air Force (RAAF). Born in Tasmania, he graduated from the Royal Military College, Duntroon, and served with the 2nd Light Horse Regiment in Queensland before transferring to the Air Force in 1925. Most of his pre-war flying career was spent with No. 1 Squadron at RAAF Station Laverton, Victoria. In 1932 he undertook a series of survey flights around Australia, earning the Air Force Cross. Charlesworth's early wartime commands included No. 2 Squadron at Laverton, and RAAF Station Pearce in Western Australia. Appointed Air Officer Commanding (AOC) Eastern Area in December 1943, he was promoted temporary air commodore the following year and took over as AOC North-Western Area in Darwin, Northern Territory. Air Vice Marshal Frank Headlam, was a senior commander in the Royal Australian Air Force (RAAF). Born and educated in Tasmania, he joined the RAAF as an air cadet in January 1934. He specialised in flying instruction and navigation before the outbreak of World War II. In April 1941, he became commanding officer of No. 2 Squadron, which operated Lockheed Hudsons. The squadron was deployed to Dutch Timor in December, and saw action against Japanese forces in the South West Pacific. After returning to Australia in February 1942, Headlam held staff appointments and training commands, finishing the war a group captain. Western Area Command was one of several geographically based commands raised by the Royal Australian Air Force (RAAF) during World War II. It was formed in January 1941, and controlled RAAF units located in Western Australia. Headquartered in Perth, Western Area Command was responsible for air defence, aerial reconnaissance and protection of the sea lanes within its boundaries. Its aircraft conducted anti-submarine operations throughout the war, and attacked targets in the Dutch East Indies during the Borneo campaign in 1945. Southern Area Command was one of several geographically based commands raised by the Royal Australian Air Force (RAAF) during World War II. It was formed in March 1940, and initially controlled units located in Victoria, Tasmania, South Australia and southern New South Wales. Headquartered in Melbourne, Southern Area Command was responsible for air defence, aerial reconnaissance and protection of the sea lanes within its boundaries. From 1942 its operational responsibilities excluded New South Wales. North-Western Area Command was one of several geographically based commands raised by the Royal Australian Air Force (RAAF) during World War II. Its wartime sphere of operations included the Northern Territory, adjacent portions of Queensland and Western Australia, and the Dutch East Indies. The command was formed in January 1942, following the outbreak of the Pacific War, from the western part of Northern Area Command, which had covered all of northern Australia and Papua. Headquartered at Darwin, North-Western Area Command was initially responsible for air defence, aerial reconnaissance and protection of the sea lanes within its boundaries. The Air Board, also known as the Administrative Air Board, or the Air Board of Administration, was the controlling body of the Royal Australian Air Force (RAAF) from 1921 to 1976. It was composed of senior RAAF officers as well as some civilian members, and chaired by the Chief of the Air Staff (CAS). The CAS was the operational head of the Air Force, and the other board members were responsible for specific areas of the service such as personnel, supply, engineering, and finance. Initially based in Melbourne, the board relocated to Canberra in 1961. Alexander, Kristen (2004). "'Cleaning the augean stables'. The Morotai Mutiny?". Sabretache. Military Historical Society of Australia. Ashworth, Norman (2000). How Not to Run an Air Force! Volume 1 – Narrative (PDF). Canberra: RAAF Air Power Studies Centre. ISBN 978-0-642-26550-0. Coulthard-Clark, Chris (1991). The Third Brother (PDF). North Sydney: Allen & Unwin. ISBN 978-0-04-442307-2. Dennis, Peter; Grey, Jeffrey; Morris, Ewan; Prior, Robin (2008) . The Oxford Companion to Australian Military History. South Melbourne, Victoria: Oxford University Press. ISBN 978-0-19-551784-2. Gillison, Douglas (1962). Australia in the War of 1939–1945: Series Three (Air) Volume I – Royal Australian Air Force 1939–1942. Canberra: Australian War Memorial. OCLC 2000369. Helson, Peter (2006). Ten Years at the Top (Ph.D. thesis). Sydney: University of New South Wales. OCLC 225531223. Odgers, George (1968) . Australia in the War of 1939–1945: Series Three (Air) Volume II – Air War Against Japan 1943–45. Canberra: Australian War Memorial. OCLC 1990609. Stephens, Alan (1995). Going Solo: The Royal Australian Air Force 1946–1971 (PDF). Canberra: Australian Government Publishing Service. ISBN 978-0-644-42803-3. Stephens, Alan (2006) . The Royal Australian Air Force: A History. London: Oxford University Press. ISBN 978-0-19-555541-7. Stephens, Alan; Isaacs, Jeff (1996). High Fliers: Leaders of the Royal Australian Air Force. Canberra: Australian Government Publishing Service. ISBN 978-0-644-45682-1. Thomson, Joyce (1991). The WAAAF in Wartime Australia. Melbourne: Melbourne University Press. ISBN 978-0-522-84525-9. Wilson, David (2003). The Eagle and the Albatross: Australian Aerial Maritime Operations 1921–1971 (Ph.D. thesis). Sydney: University of New South Wales. Wikimedia Commons has media related to Joe Hewitt (RAAF officer) . Hewitt, J. E. (1980). Adversity in Success. South Yarra, Victoria: Langate Publishing. ISBN 978-0-9594622-0-3. Hewitt, J. E. (1984). The Black One. South Yarra, Victoria: Langate Publishing. ISBN 978-0-9594622-1-0.